Our Newmar came with a 2000 watt Modified Sine Wave Freedom 485 inverter/charger. The Freedom 485’s job was to keep the batteries charged when we were plugged into shore power and to provide 110VAC power from the batteries when we were are not plugged in. While the Freedom 485 probably had a number of years left in it, I decided to replace it with a Magnum MS2000 Pure Sine Wave inverter because (1) from personal experience pure sine wave inverters are kinder on some electronics, and (2) the Freedom 485 was getting on in years. 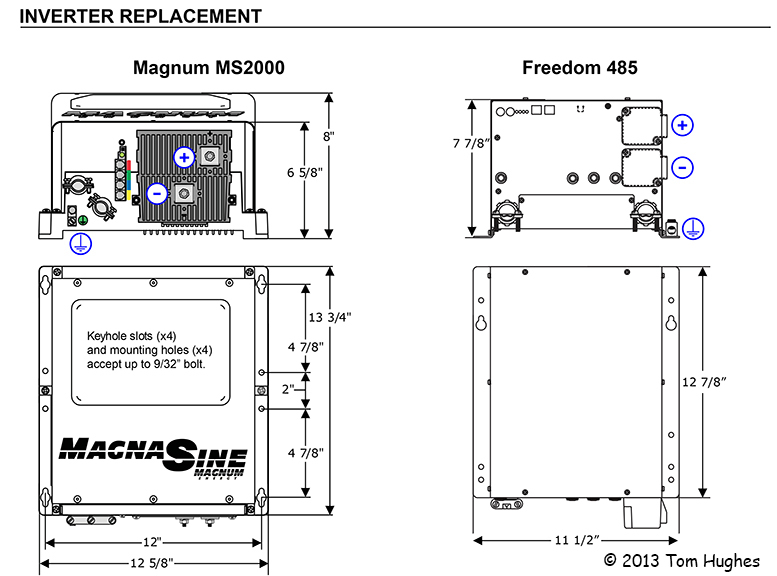 Installing the new Magnum was helped by the fact that it had a very similar “foot print” to the Freedom. It was very fortunate that I could use the existing inverter AC subpanel for the Magnum as installing a new subpanel can be difficult — first you need to find space for the panel, then there are lots of wires to run. Anyway, it was also lucky that the new Magnum remote control for the could be connected to the same RJ11 phone wire as the old Freedom 485 remote — VERY handy because I did not have to run any new wire. 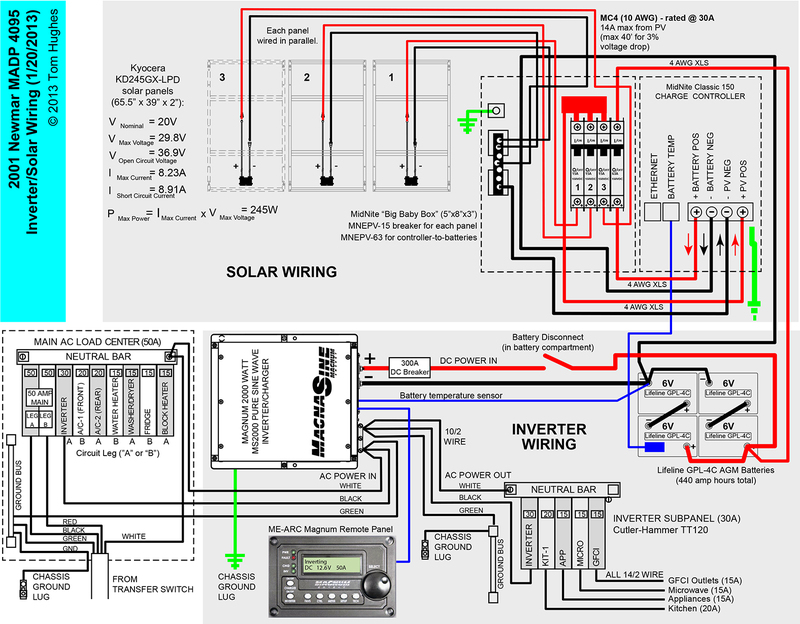 Here is my inverter wiring diagram and some installation photos . . .